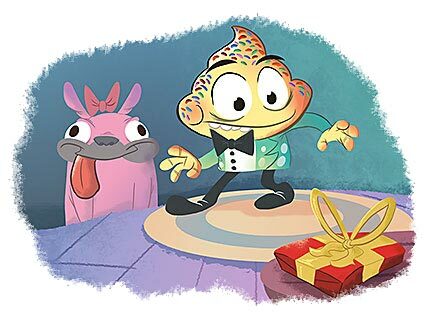 Mr. Cupcake is getting ready to go to Mr. Cookie’s birthday party. He grabs his coat, his keys, and Mr. Cookie’s present, but wait! What’s that mysterious crunching noise? Mr. Cupcake can’t figure it out. Can you? Download it today! 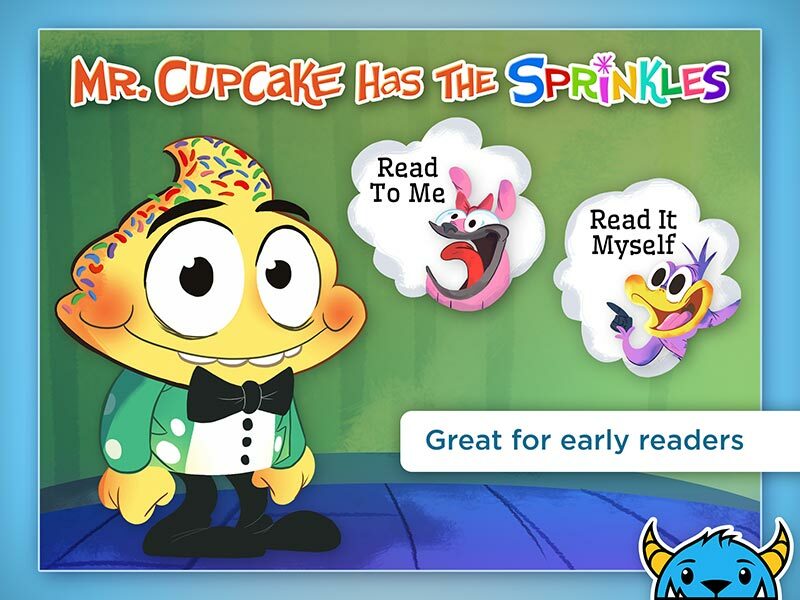 Meet Mr. Cupcake and his wacky world of fantastic friends! Children of all ages will love the bright and silly illustrations and funny words, which will help beginning readers develop a love for books and stories. Great for daytime or bedtime reading, you can read along with your child or choose optional character-acted page-by-page audio narration. 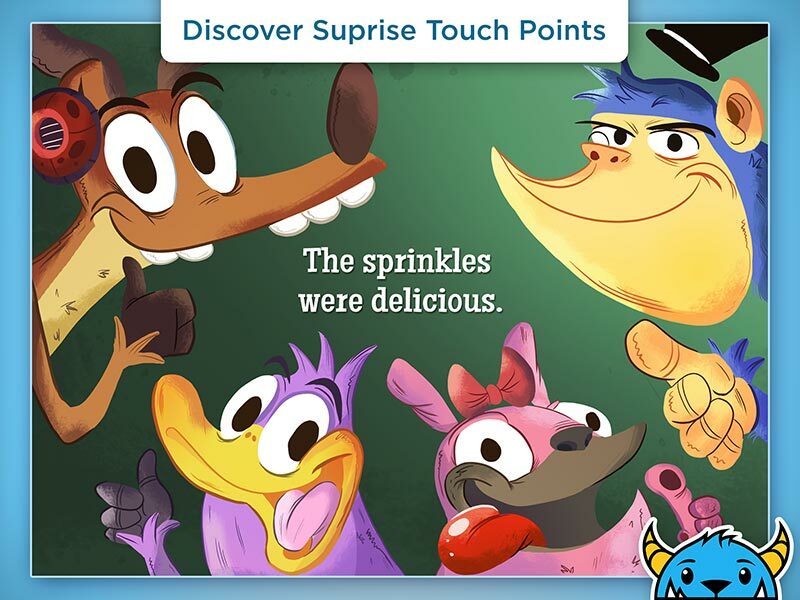 Great for kids 3 and up, with lots of interactive fun to play with throughout the story. 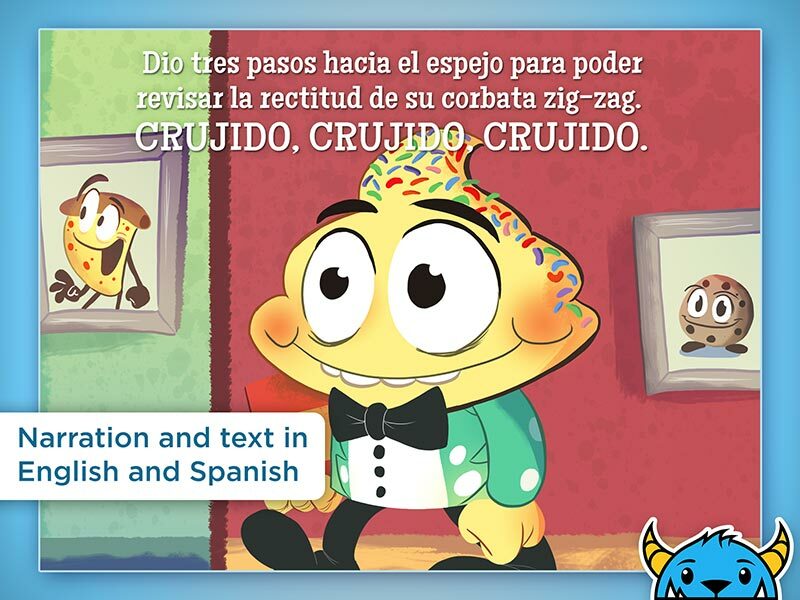 Features fun illustrations by animation artist Eddie Betancourt, and is written by Jennie Book. 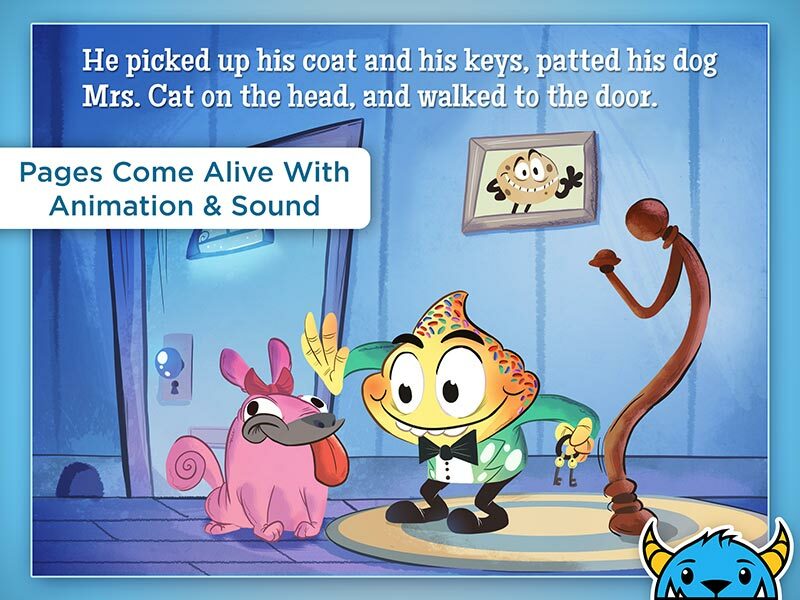 Based on the Interactive Storybook App, this eBook edition is the same great story without the interactive elements or sound effects for a distraction-free reading experience that we know some parents will prefer. 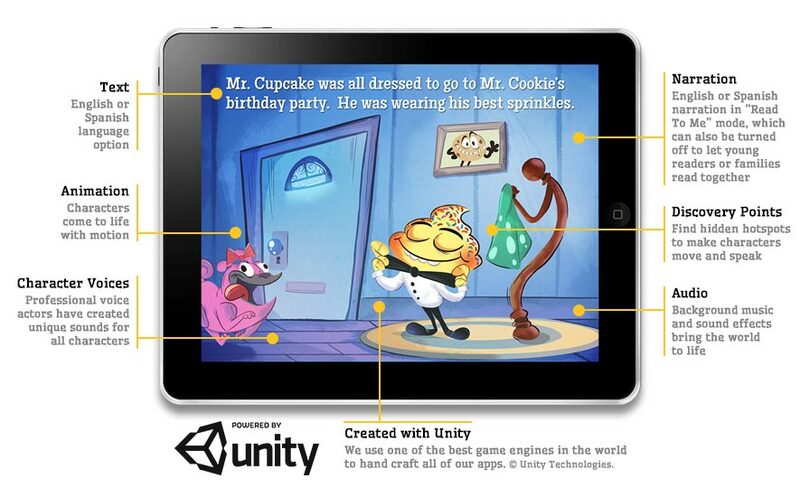 The iBooks edition features narration.